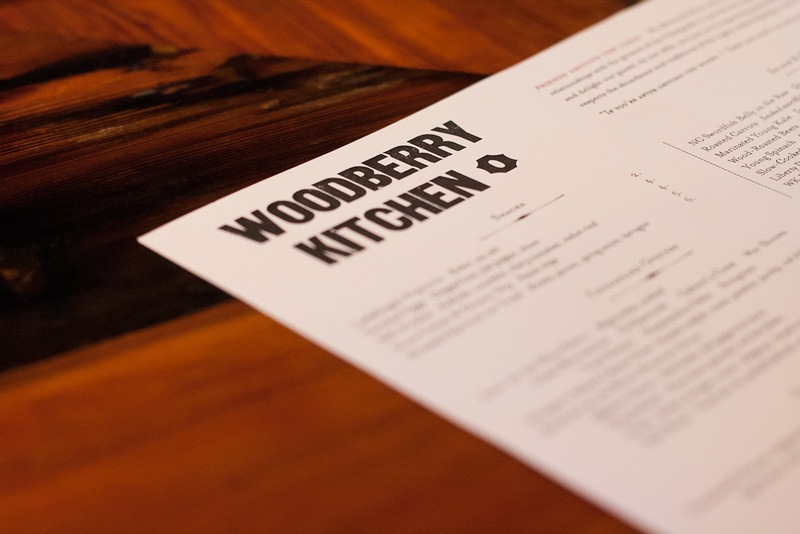 Woodberry Kitchen is one of Baltimore’s gems.The restaurant is nestled safely in the heart of the Clipper Mill district; an old mill town sustainably renovated to retain its old character and charm. Apartments, studios, and local businesses thrive in this mini historical oasis. When my husband and I used to live close by, I ran every morning through the changing landscape looking forward to the finished makeover. 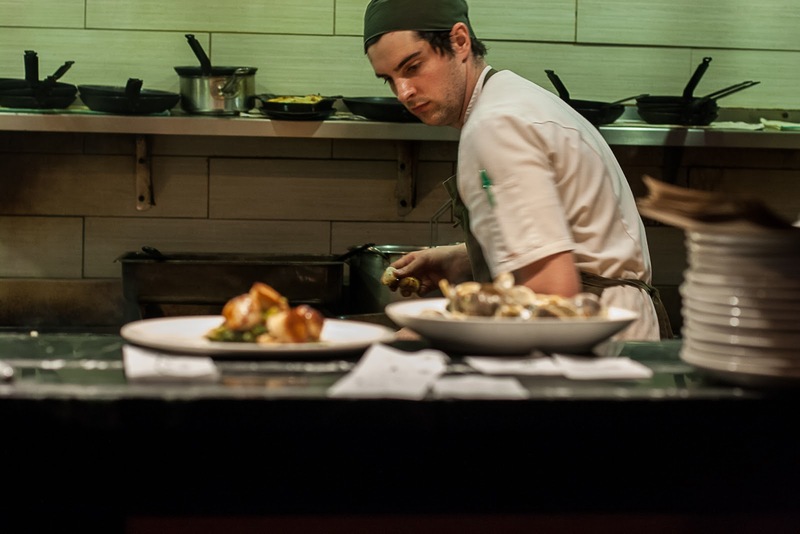 The apartments and town homes slowly filled up, businesses moved in, and Woodberry Kitchen soon founds its home in the belly of the neighborhood. 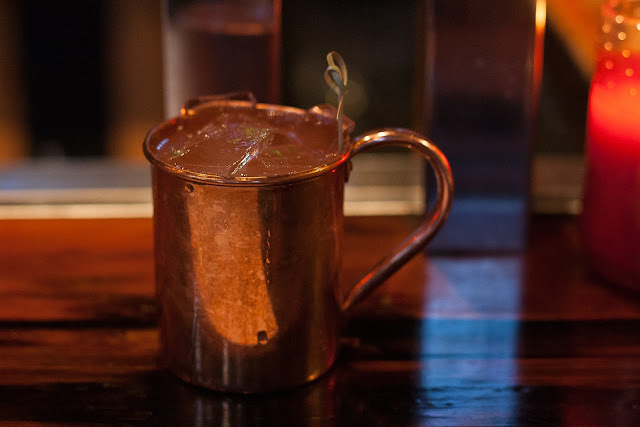 We were regulars when Woodberry Kitchen first opened its doors a few years ago, and often scored a table as walk-ins. We knew the community would soon catch on once they tasted the love in every dish, and they certainly have. Last night we were able to finagle a 9:45 pm reservation for my birthday. This is the only restaurant in Baltimore that can keep my eyes open and my belly excited when I am usually burrowed in bed sheets. It is a pleasurable experience to wait for your table when you have a comfortable bar that serves wonderfully fresh cocktails with clever names like Gov't Mule (Organic VT vodka, house made ginger beer, ginger-lime syrup, copper mug) and Death In Sunshine (Shine, apple-fennel, Stephanie's bay bitters, Absinthe, sparkling wine, hand carved ice). You can't go wrong with any of the cocktails. You can also close your eyes, twirl your finger, and plop it down blindly to make a solid wine or beer choice as well. They have obviously done all the hard work for you. I had a lovely glass of De Loach Pinot Noir while we waited for our table....and one with dinner. What? It's my birthday! Although there have been a few times in the past when Woodberry Kitchen did not “wow” me, there was something in the air last night. The happy bustle of the knowledgeable waiters, the tender smirks from the cooks as they prepared food in the open kitchen, and the genuine looks of absolute pleasure as our table neighbors chewed away. We knew the food was going to be excellent. Our waiter was a pro. He was well-informed about the menu and guided me towards dairy free options like a ninja. I started with a beautiful asparagus salad laced with miner’s lettuce, pecans, shaved tasso ham, and tarragon. It was tender yet crunchy and filled to the brim with young shoots of perfectly seared asparagus. For the main dish I chose Delaware Bay Rockfish Out of the Oven, a flawlessly prepared flakey wonder atop charred scallions, turnips, lettuce and a smear of chile mayonnaise. The dish is usually served with fingerling potatoes tossed in butter, but the waiter immediately accommodated my allergy and informed me that the chef would happily add another vegetable to my dish. My husband looked satiated after consuming fresh oysters, oyster soup, and a perfectly masculine “buttery” hamburger. The waiter suggested an uber delicious cocoa sorbet for dessert which came to the table with a sweet birthday message and a small candle. I didn’t even have to bat my eye lashes to be treated like a birthday princess by this rock star team. My one recommendation to Woodberry Kitchen is this: Do what you did last night every single night of your exquisite existence, and you will make me a very happy girl. Lovely review. Isn't it like music when a restaurant pulls together like this - and everyone from the time they take your coat, to the time they hand you back your credit card is set on ensuring you have the best time. The cocktails sound so delicious (as does everything else.) Shame I live 3,000 miles away or they'd have a new customer. Thank you so much for recommending this place to me when I was in MD. It was one of the best dining experiences I've had in a long time! We ended up eating at the bar and the service there was top notch (not to mention the cocktails). Have you had that chocolate dessert with the liquid peanuts? Deadly. Oooh, don't you LOVE when restaurants exceed your expectations?! I'm glad you had a great time! I hope you had a wonderful birthday--this place sounds interesting, I kind of wish we had something like it in Anchorage. An interesting concept - I love the communal facets of it. I quite enjoyed reading your review and wish you a happy belated birthday.